Ordered that Wm. R. Sowell be appointed overseer of the road from the mouth of Kelly's lane to McQueen's branch and work the following hands: Daniel McIntosh, W.H. Muse, Neil Black, Noah F. Muse, George Williams, Bryant Caddell, Devotion Davis, John M. Davis, Jason Sowell, Lendo Sowell, Abraham Fry, Eli Sowell, D.F. Muse, Artemas S. Caddell, Kindred Muse, Neodom Yarn, James Dowdy hands, Jefferson Williams, Josiha Wallace, and Joseph Fry. 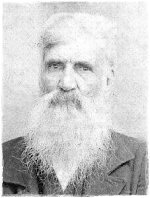 S. McIntosh, S.D. Wallace, John Cole, M. McFarland, J.M. Davis, John H. Short, K.H. Williams and A.A.F. Sowell.